In much the way that the CD replaced the album, the poster has waned as a messaging vehicle. The poster has now become a postcard and e-mail blast, leaving many to long for the lost age when posters were not only major promotional vehicles, but also artwork worthy of framing. Some of the world's best designers just could not stand idle while the poster fell by the wayside. They turned to the poster for personal expression and as an outlet from more restrictive mediums. This book showcases their breathtaking artwork, which has proven that the poster can still serve as a worthy communications tool. In doing so, they've brought the poster back to prominence. In this book, John Foster has compiled the world's finest new work at the height of this rebirth. There is currently no book on the market that can claim it features a "definitive" poster collection. 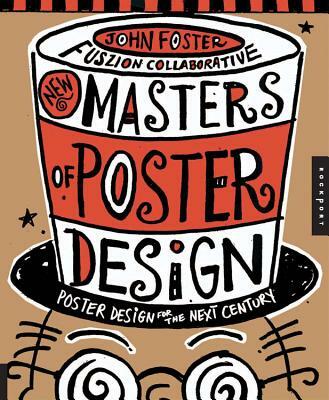 John Foster is a world-renowned designer, author and speaker on design issues. His work has been published in numerous books and every major industry magazine, hangs in galleries across the globe and is part of the permanent collection of the Smithsonian. He is the proud recipient of both a gold and silver medal from the Art Directors Club as well as a Best of Show from the ADDYs. He currently resides in Derwood, MD. Visit his blog at http://www.badpeoplegoodthings.com.